Hi guys, now that our lovely weather is over it's time to get the Winter tyres out. I'm looking for recommendations for my Impreza STI, 19inch alloys. I always check the tyre tests online to get some objective info. ‘tyrereviews.co.uk’ is a good place to start. There’s a bunch of very good tyres to choose from. I’ve got goodyear ultragrip performance gen-1 on 17s and am very happy with the all around performance. Of course they feel mushy in comparison the summer set up. I've been using the Pirelli Sottozero 3's for the last three winters (this'll be the fourth) and have absolutely loved them. For reference, I've been using winter tyres for the last fifteen years so I'm not someone who's just tried them for the first time and thought 'wow, these are amazing'. Michelin Pilot Alpin's are good, whereas my experience of the Cooper Weathermaster's were awful. In the past I've also used Continental WinterContact TS790, 830 and 850. The Pirelli in contrast to these I've found to be less squirmy, have better turn in and seem to be lasting longer. That said, I reckon the 850 were marginally better in deep snow whereas the Sottozero's party piece is in thick slush where they're the most stable tyre I've used. I reckon this'll be their last winter as they're down to 5.5mm which is about as low as I really want to go with a winter tyre for winter conditions. In the three years I've used them though I've probably covered about 15k miles at a reasonable pace on country roads. 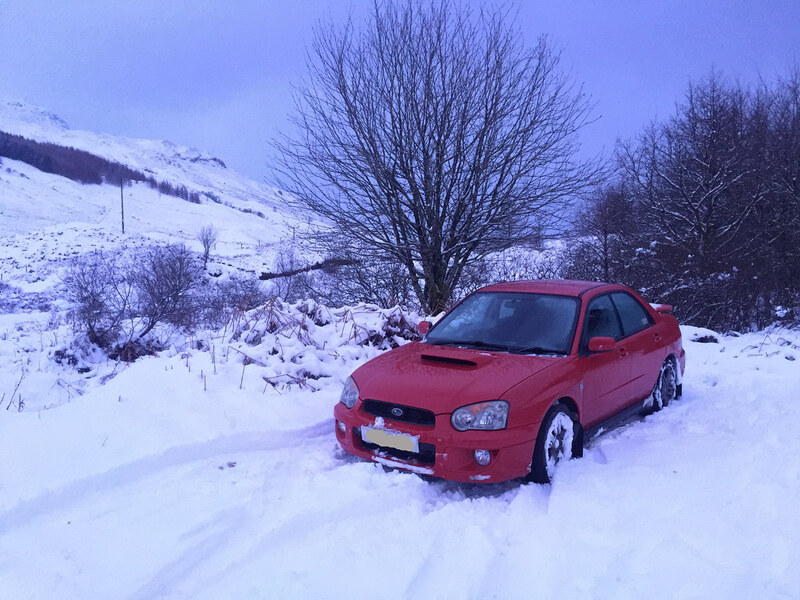 Last winter I was out climbing in the winter conditions at least twice a week on average and got up some seriously treacherous roads with no drama whatsoever (including eighteen inch deep powder up Glen Orchy's single track road). Any of the top tyres from the likes of Conti, Michelin, Nokian or Pirelli will do you well - read the proper tests though to see which excel in the area you place most importance on. For me it's ice and slush as these are the conditions I'm usually driving in. I was thinking about the Sottozero 3, thanks for the positive review of them. No problem. They're probably a bit cheaper than when I was got them too, I think they were pretty new out back then. 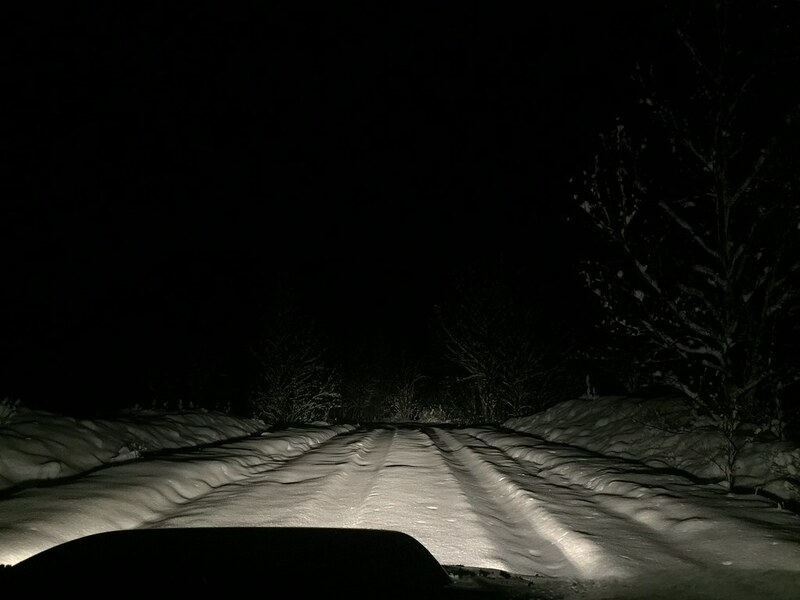 This is an example of the roads I was on regularly (the snow in the base of the ruts was 6" deep from the farmers Defender the night before). It's pretty awesome being able to actually have fun on these roads. Snow covered A roads can be driven at the NSL quite comfortably if you're aware of what's going on around you. I see you've got a newer one, but on my 2003 the biggest improvement that can be made is disabling the ABS. The only downside with winters and AWD is the inevitable number of times you have to help pull people free when either their talent or traction's run out (or, quite often, both)! This will be my 3rd winter on Winter Tyres. I'm currently running a 2016 STI with Dunlop WinterSport5 as they seemed the nearest tyre to the OEM tyres on the car. I've used Nokians on cars before my Subaru and felt very re-assured with them. I may try them back to back on the Scoob when I invariably wear the current set out. Last edited by C7 JFW; 01 November 2018 at 06:13 PM. I put the cheapest winter tyres on some spare rims and they still massively out perform summer tyres in those conditions, never had any problems with them and as only used a few months a year I didn’t want to spend loads. They will outperform summer tyres in winter conditions for sure. But that said, if you fit proper performance winters you can actually enjoy driving the car all year round. It all depends on where you live too. I had mine on from last October through to mid April, so nearly six months, and for most of that I was very glad I had them on the car - including driving on sheet ice numerous times where the Cooper Weathermasters I originally used as winters on the WRX would have seen me in the ditch.